Here I’m back with another outfit. 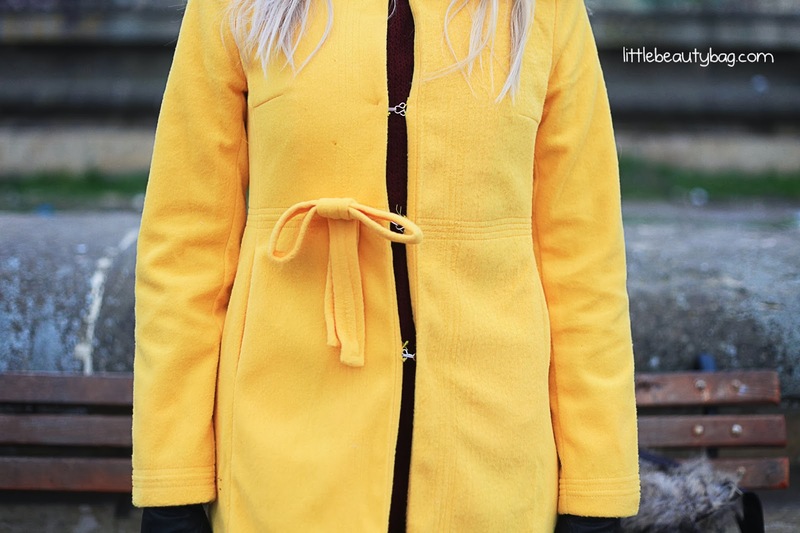 I received a few weeks ago from SheInside a beautiful yellow coat and being sick I couldn’t wear it, so here it is, not on me but on my best friend. I like it, I think it’s more of a cardigan that a coat. You can’t wear it on winter walks in park cuz you may get a cold but it’s wonderful for spring. I love the color but I hate the way it button’s up, if it’s right to say so and this is the single thing I don’t like about this coat. My model is Alina and you may know here from Chic and Urban Blonde. This is why I don’t like it 🙁 but I like the bow :)). The price is good, not too cheap not too expensive! Overall I like so much, the color strickes and for spring it’s wonderful, can’t wait to wear them when the flowers bloom. Hope you enjoyed this post, hope you like the coat and I recommend you to take a look on their website! paltonul si caciula sunt foarte misto! l love the boots!! nice blog 🙂 new follower!